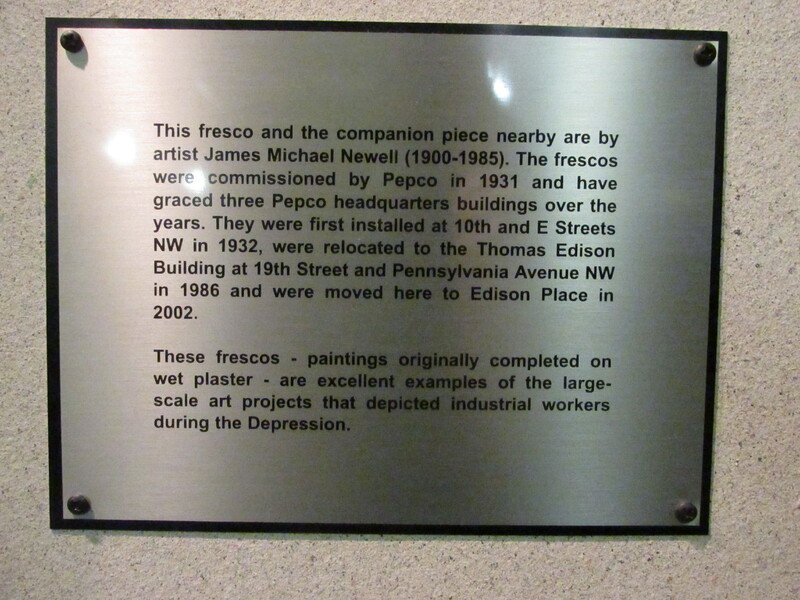 Pepco’s Beautiful Depression Era Frescoes | Park View, D.C. 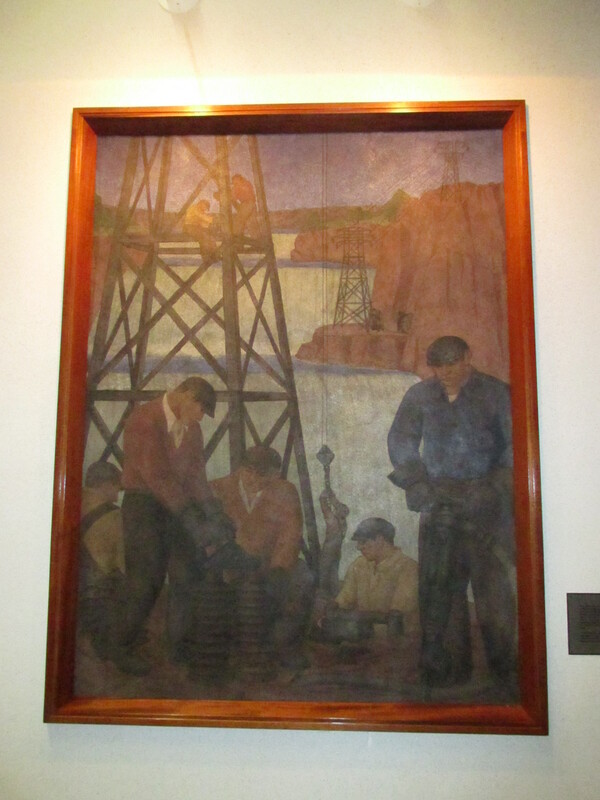 If you’ve ever had the opportunity to visit Pepco’s Headquarters at Edison Place (701 Ninth Street, NW), you’ll have noticed two large artworks that appear to be paintings. These are actually frescoes created by artist James Michael Newell and commissioned by Pepco in 1931 for their headquarters building at 10th and E Streets, NW. As the Pepco headquarters has moved, so have the frescoes. They now hang at the far end of the entrance hall and nearby in the ground floor elevator lobby on Ninth Street. The first fresco that a visitor encounters shows linemen working along the Potomac River (below). 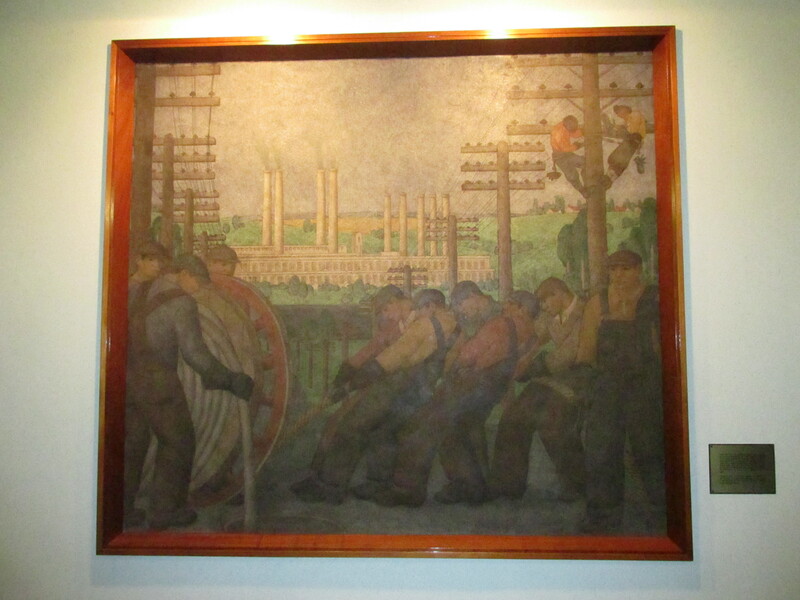 As one turns towards the elevators, the companion piece again shows linemen working with the Benning Power Plant in the background. This entry was posted on March 25, 2015 at 7:01 am and is filed under Art, History, Pepco. You can subscribe via RSS 2.0 feed to this post's comments.